Hurricane Matthew was a very powerful and deadly Category 5 Hurricane that left a wake of destruction in its path. As reports and assessments continue to come in, we ask you to be in prayer for all of those who are affected. We ask prayers for those who have lost so much and for those responding to their hurting neighbors. May we be reminded that God is always with us in these long days ahead. 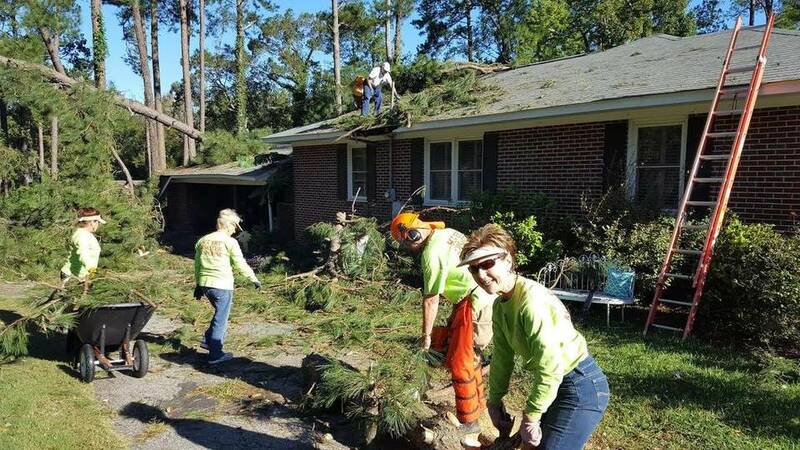 The Tennessee conference has two Early Response teams already deployed to South Carolina and Angela is working with trained ERT’s for additional deployments. As a reminder, do not self deploy. A strength of our connection is that we can cooperate and respond based on need. As needs are communicated to us, our Disaster Response Coordinators, Robert Craig in Memphis Conference and Angela Overstreet in Tennessee Conference, will let you know specifically what kinds of supplies or kits are needed by our UMCOR warehouses, at this time there is NOT a need. Pray. Our friends and partners across the Caribbean, and up the Eastern Seaboard need our genuine prayers in the days, months, and years to come. Donate. UMCOR has Advance numbers set up for both international and domestic disaster response. To donate to the international effort, please click here. To donate to the domestic effort, please click here.